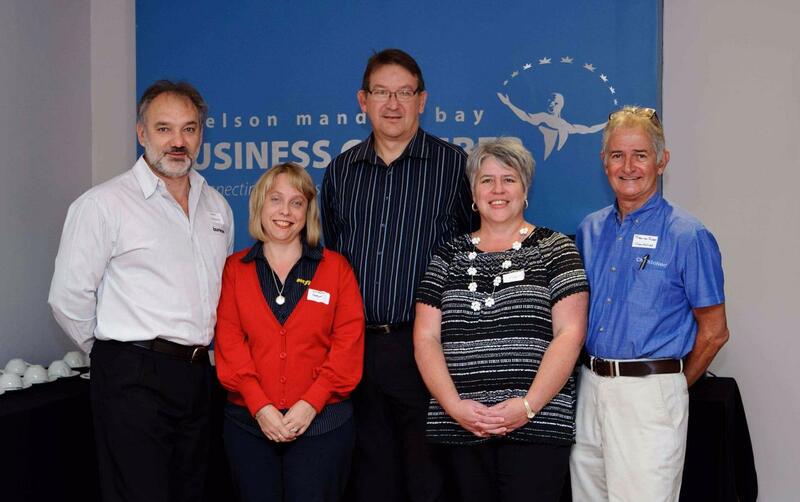 The Institute of Waste Management of South Africa hosted an successful information sharing business morning at the Nelson Mandela Bay Business Chamber on the morning of the 7th of April. 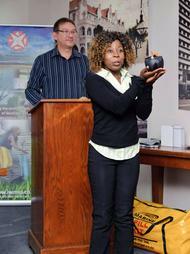 The event was coordinated by the Port Elizabeth subcommittee, falling under the IWSMA Eastern Cape Branch. "A local demand for networking and integration in the waste industry resulted in the formation of the subcommittee to ensure that we can expand the Eastern Cape Branch by hosting similar events," said Melinda Labuscagne. Approximately 50 attendees enjoyed presentations by various professionals from the waste industry as well as an informal information session after the event. Amongst the panel of experts presenting was Theuns Duvenhage, Technical Director and Environmental Specialist from Aurecon, who discussed basic legal requirements and best practice methodology in the waste management industry. Theo von Ruben, Owner of Chemsolved, explored the various hazardous waste streams and elaborated on the legal and technical disposal methods available. Lizl Muller , Safety, Health and Environmental Officer from Goodyear, reported on the successful implementation of Zero-to-landfill within an organisation. "Changing the mindset of employees is the key ingredient," said Lizl "management need to be committed, as the process takes time and financial investment is often needed as South Africa lacks the infrastructure that certain European countries offer." Melinda Labuscagne, GIS Controller from the Nelson Mandela Bay Municipality concluded the morning by elaborating on the transport registration processes and introduced attendees to the IWMSA and discussed the benefits of becoming a member. The objectives of the information session were to encourage interaction between individuals and businesses from the waste industry in Port Elizabeth. 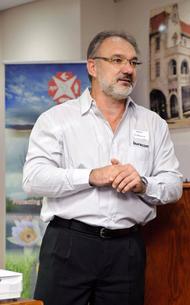 "In a growing industry, which often includes many technical aspects needing professional advice, the forging of relationships is of utmost importance," Andrew van Wyk, HR manager for The Waste Trade Company and master of ceremonies for the event. - Vicky du Toit, Marketing Manager - The Waste Trade Company.